WASHINGTON: NASA's plant-hunting spacecraft launched last year discovered an Earth-sized planet and a warm sub-Neptune-sized one in a nearby star system. The study published on Monday in the journal The Astrophysical Journal Letters reported the Earth-sized planet called HD 21749c that takes eight days to orbit its host star. The host star of those two planets has about 80 percent of the mass of the Sun and is about 53 light years distant from Earth. The Transiting Exoplanet Survey Satellite (TESS), launched on April 18, 2018, is NASA's latest satellite to hunt for planets outside our solar system. "This would be our first one, and it's a milestone for TESS. 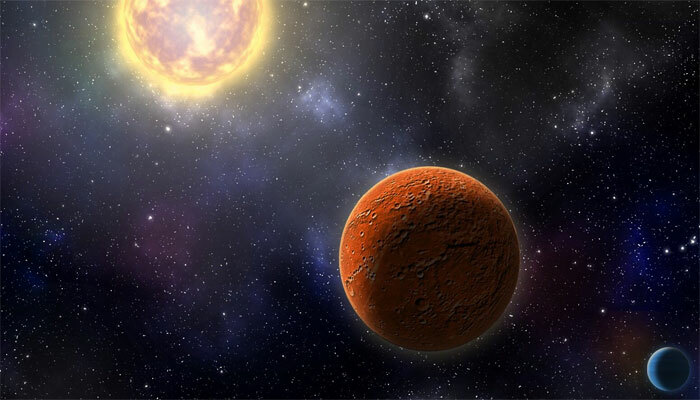 It sets the path for finding smaller planets around even smaller stars, and those planets may potentially be habitable," said Teske. The astronomers also discovered in the star system a sibling planet HD 21749b, about 23 times Earth's mass, but less massive than Neptune. It has a radius of about 2.7 times Earth's.